Home Career Planning How Career Counseling Helped Me (MBA or Job)? In today’s world where everyone is trying to make a mark for themselves, it is of paramount importance that we choose our career wisely. It is not that we don’t know the importance of the decisions we take but what pushes us behind is we don’t really know what we exactly want. What do we really enjoy? And trust me, only a right career counseling platform can help you find this. A perfect platform which encourages you to introspect and helps you to find yourself, your skills, strengths, values, personality type etc. It is a fact that most of us are ill-equipped to make decisions about our careers at different points of time because we really do not know about all the available choices and the pros and cons of each. As every individual is different, the path that he wants to take can also be different. Gone are the days when people used to follow the crowd and do whatever everyone in their surroundings had done. It is not uncommon now to see that the children of doctors are engineers, business class family children are going out and taking jobs and more and more people are trying their hand in entrepreneurship. Have you ever thought about what has made all this possible? What has changed and helped people to make these choices? Here, A right career counseling platform helps! Let me not go very far and cite my own example. I belong to a typical middle-class business family and still not only did I complete my engineering and worked as a software engineer for 3 years but currently I am pursuing my MBA from NMIMS, Mumbai. This has all become possible only because of my exposure to the right Career Counselling. All throughout my life, I have been blessed to have had very good teachers and mentors who kept on pushing me forward and helped me decide at various turning points of life. But the toughest decision in my life was to decide between continuing with my job in a top performing MNC or going for an MBA. 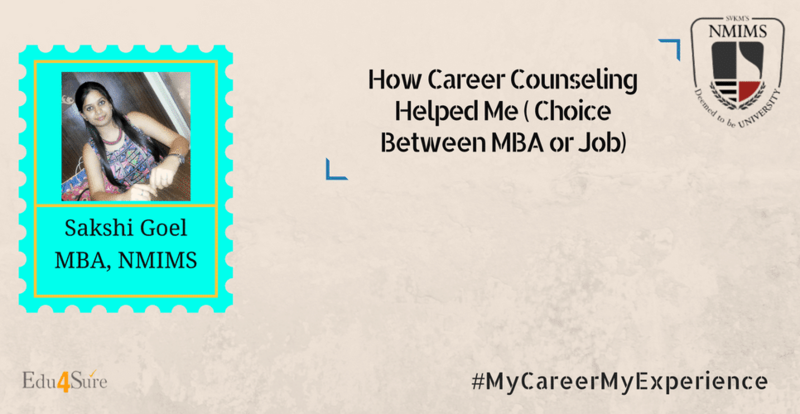 To leave a stable job and go for an MBA was a very risky proposition for me. The opportunity cost was too high. It didn’t only mean sacrificing the salary but included other multiple risks. Most of the people (including my friends and family) advised me not to disturb the status-quo. Even I had my fair share of doubts like what if I didn’t get through? What if I am not able to cope with the pressure of exams and studies again? What if I don’t get a job that I like after completing my course? I didn’t want to take a wrong decision based on my fears and different opinions. Hence, I decided to go to a professional Career Counsellor. And seriously, that was a life changing experience for me. The counselor did nothing but helped me to find out what I really wanted? How serious was I about it? Till what level was I willing to sacrifice other things for it? Was it to stay safe and continue with my job and look for better opportunities in it? or, Take the leap and go for a career that I always dreamt about? Please trust me when I say that this Career Counselling session really helped me and can definitely help each of you to get a clearer picture of life whether it is a decision about choosing among science, commerce or arts after your class 10th or deciding between various career options. And of course, I am really glad at the choice I made. 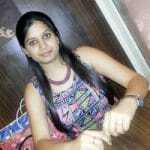 I have thoroughly enjoyed each minute of my MBA from NMIMS, MBA. I won’t lie and tell you that the choice was easy but it is definitely totally worth it. My 5 months journey here is nothing short of a roller-coaster ride from the minute it began. I have not only got exposure to a variety of experiences and people from different backgrounds but also have explored different sides of “ME”. I recognized my ability to multitask, take pressure in crisis situations, to prepare for presentations in 10 minutes, to handle classes, competitions, and a variety of other activities happening on campus simultaneously. MBA indeed has changed my outlook towards life and am so happy to have got this experience. I am looking forward to how this journey unfolds itself further. Career Counselling not only helps in the right decision but also directs towards the decision that your heart really wants! Previous articleHow To Learn A Foreign Language? Next articleShould An MBA Marry An MBA? An MBA from NMIMS Mumbai. A diligent individual who loves to explore the opportunity. At Edu4Sure, she enjoys working with business professionals and social entrepreneurs!